The NEW and awesome Streeter Hoodie's are here! 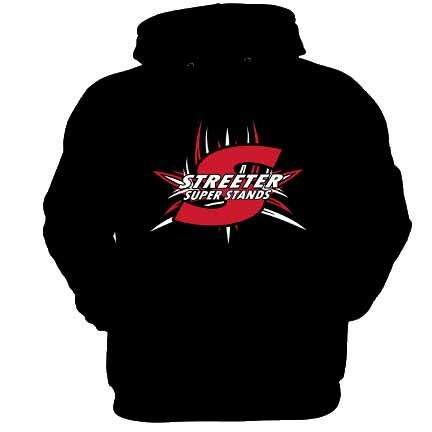 Show your support and get a classic black pull over hoodie with the stylish Streeter Logo and design imprinted both front and back. These are the same hoodies our race crew wear to keep toasty warm!